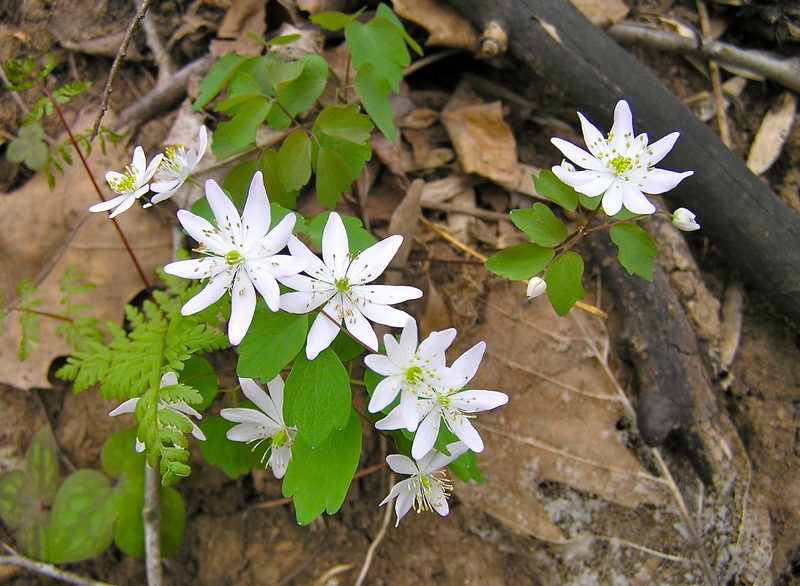 Tiny and delicate, the white to pinkish flowers of rue anemone explode in early spring like bright lights on the dark forest floor. The small, three-lobed leaves resemble meadow rue in appearance. The plant is so dainty that it moves almost constantly in the slightest wind, making it a challenge to photograph! Note the large number of yellow stamens; the number of petals can vary from 5 to 10.